A woman dubbed the “Mother of Jihad” by Belgian media has been released from jail just four months into a 15-year sentence on terrorism charges, due to a simple bureaucratic error. Fatima Aberkan, 55, was convicted of recruiting for jihadist groups after prosecutors said she had links to a network of prominent al-Qaeda terror plotters and had reportedly travelled to Syria with her two teenage daughters in 2013. She was sentenced to 15 years in prison in April this year but, according to the Belgian newspaper La Dernière Heure, is already free from jail. Aberkan’s release was granted after her lawyers submitted an application to appeal, but the Belgian Court of Cessation failed to provide a date for a hearing within the five months required. 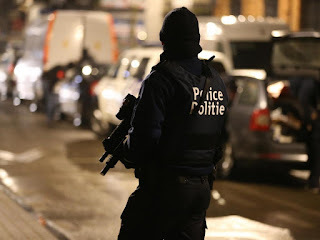 Her freedom comes with a number of conditions, Belgian media reported, including a ban on visiting the Molenbeek suburb of Brussels, where longstanding issues with radicalisation were thrown into the international spotlight by the Paris attacks. Aberkan has been ordered to hand in her Belgian and Moroccan passports and banned from visiting websites advocating jihad. She will also be subject to a curfew, required to attend a police station as well as a course on deradicalisation. The terms of release were proposed to judges by Aberkan’s lawyer, Cédric Moisse, according to Belgian media reports. When she was sentenced, Aberkan was given the longest jail term ever received by a woman in Belgium for terrorism offences. Alongside the convicted hate preacher Khalid Zerkani, she was understood to be responsible for sending dozens of young people to join terror groups in Syria. When she was convicted in February, prosecuting lawyers told the court: "Fatima Aberkan has jihad under the skin. She has sacrificed much for the cause, including one of her sons. For many years, she's contaminated her entourage with her foul and harmful ideas."